Don’t miss the far-reaching and beautiful shorelines of Lake Murray where many Columbians enjoy recreational water sports and some enjoy year-round lake-side living. 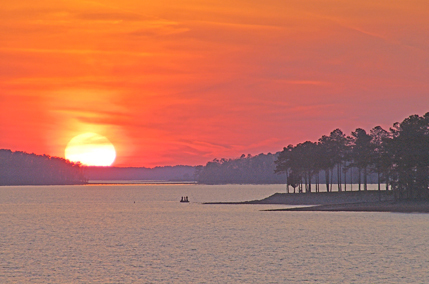 Lake Murray is approximately 41 miles long and over fourteen miles wide and was created in the 1920s to provide power. At one time it was the largest earthen dam in the U.S. With over 600 miles of shoreline it provides ample space for boaters and water lovers to come and play. Outdoor activities abound, including diving, water skiing, boating, fishing, hiking and camping. Housing options include weekender cabins for under $100,000 to million dollar plus luxury homes with incredible views.